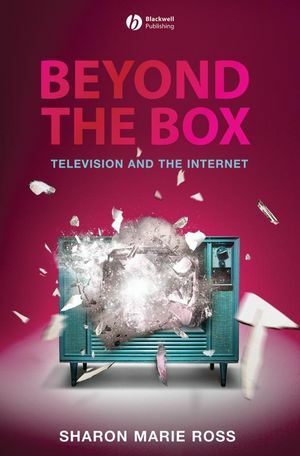 Beyond the Box gives students and couch potatoes alike a better understanding of what it means to watch television in an era of profound technological change. Sharon Marie Ross is Assistant Professor of television studies in the Television Department at Columbia College, Chicago, where she teaches critical analysis of TV. Introduction: Online/Offline~What It Means to “Watch (and Make) TV” in the Age of the Internet. 1. Fascinated with Fandom: the Interactively Aware Viewers of Xena and Buffy. 2. Power to the People, or the Industry? : American Idol Voting, “Adult Swim” Bumping, and Viral Video-ing. 3. Managing Millenials: Teen Expectations of Tele-Participation. 4. No Network Is An Island: Lost’s Tele-participation and ABC’s Return to Industry Legitimacy.